Bayer Leverkusen ran riot at the Opel Arena after thrashing Mainz 5-1 in the Bundesliga on Friday evening. The visitors made the early inroads and they were rewarded with the opening goal after just five minutes, with Wendell finding the back of the net off an assist from Karim Bellarabi. The home side hit back four minutes later when Robin Quaison found the bottom corner from six-yards out after Leverkusen failed to deal with a corner. 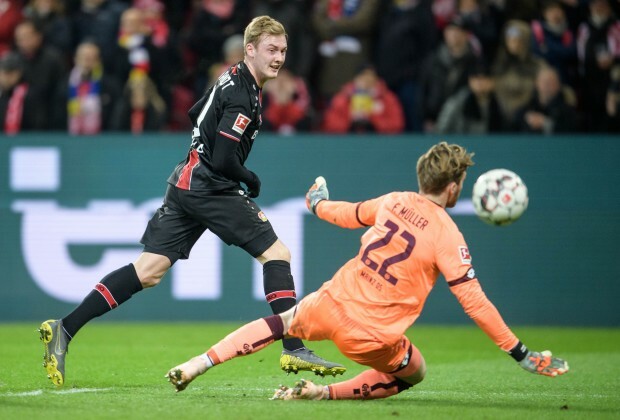 The visitors restored their lead on 19 minutes with Kai Havertz firing home from close range after being picked out Julian Brandt. Brandt then registered a goal to go with his assist by firing the ball into the bottom corner from the centre of the box to extend the visitors' advantage. Leverkusen, who had beaten Bayern Munich in their last league game, bagged a fourth goal on the stroke of halftime through Bellarabi. It was more of the same in the second half as the visitors netted their fifth goal just after the hour mark, with Brandt completing his brace with a close-range finish. Despite the large deficit, Mainz continued to push for a second goal as Karim Onisiwo saw his goal-bound effort blocked after 74 minutes before Quaison squandered a chance two minutes later. Nevertheless, Leverkusen were able to see out the remaining stages of the half with relative ease to move up to fifth spot with the big win.